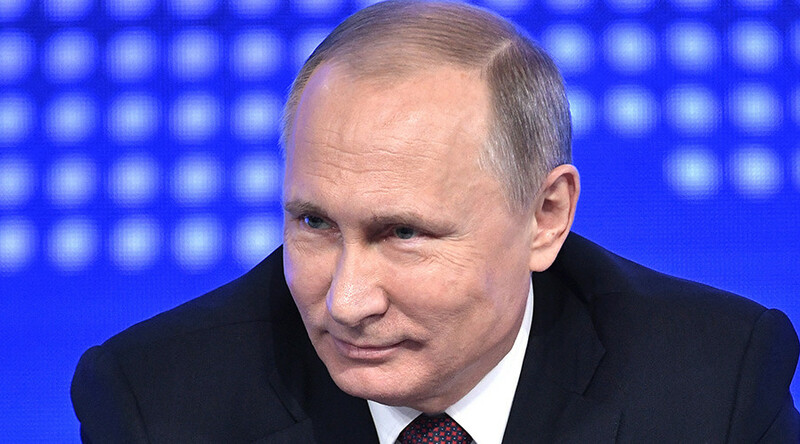 The problem is the consensus is going in the direction that says: ‘We have to punish Russia.’ And this is coming from Congress, media, and the White House, and particularly being pushed by the Hillary Clinton camp, says Philip Giraldi, former CIA officer. The outgoing Obama administration announced on Thursday new anti-Russia sanctions that include the expulsion of 35 Russian diplomats from the US on the unproven claim that Russia somehow hacked into computers from the Democratic National Convention. The move comes “in response to the Russian government’s aggressive harassment of US officials and cyber operations aimed at the US election,” Obama said in a statement on Thursday. Moscow called the decision yet another manifestation of the unpredictable and aggressive foreign policy charted by the Obama administration. Will the damage ruin Donald Trump's hopes for restoring relations with Russia? RT spoke with Philip Giraldi, former CIA officer, for his views on the issue. RT: Do you think, as many people are saying, that these sanctions are an attempt by Obama to obstruct relations between Putin and the incoming Trump administration? Philip Giraldi: There is a broad consensus also in the media and in Congress to take harsh steps against Russia, and I think Obama saw an opportunity in this. And apart from closing the options for Donald Trump to create a better relationship with Russia, it also permits the Democrats in particular to argue the election was stolen from them. I think that is a key element in why this is happening. RT: Trump and Putin have a common view on some global issue but not all of them. Israel-Palestine settlement is one problem they don't see eye to eye on. How much damage have these new sanction made to the two country's ability to agree on this subject? PG: Well, historically it has been a very difficult situation to resolve. But basically both the United States and Russia have very good relations with Israel. So both the United States and Russia working together for some kind of consensus solution to the Israel-Palestine problem would be much better than either party working alone. The US has been singularly unsuccessful in terms in getting the Israelis to move in terms of the positions they’ve taken. So working with Russia would be a huge advantage for the United States, and I think Donald Trump will have the flexibility to see that. RT: Do you think President Obama expected such a reaction from Putin? PG: I think behind the scenes there is serious damage. The problem is that the consensus is very much going in the direction of ‘we have to punish Russia.’ And this is coming from Congress, the media, and the White House, and particularly being pushed by the Hillary Clinton camp in the Democratic Party. So this is something that is very dangerous. I’m hoping that Donald Trump and Vladimir Putin will have the sense to work together to defuse this. RT: President Putin says it's not the time for unfriendly actions like expelling diplomats. But how much damage has this done behind the scenes? PG: I don’t think so. I think Trump is being positive just as I think Vladimir Putin was being positive in terms of the direction they would like to see this go in.